Our work spans across strategy reports, workshops, product design, curation and tools. Design of three workshops with EDF R&D to get their teams to explore new home energy management experiences. The workshop lasted 1 week each and outputs varied from physical prototypes, UX wireframes, mobile/tablet app demos, videos and websites. 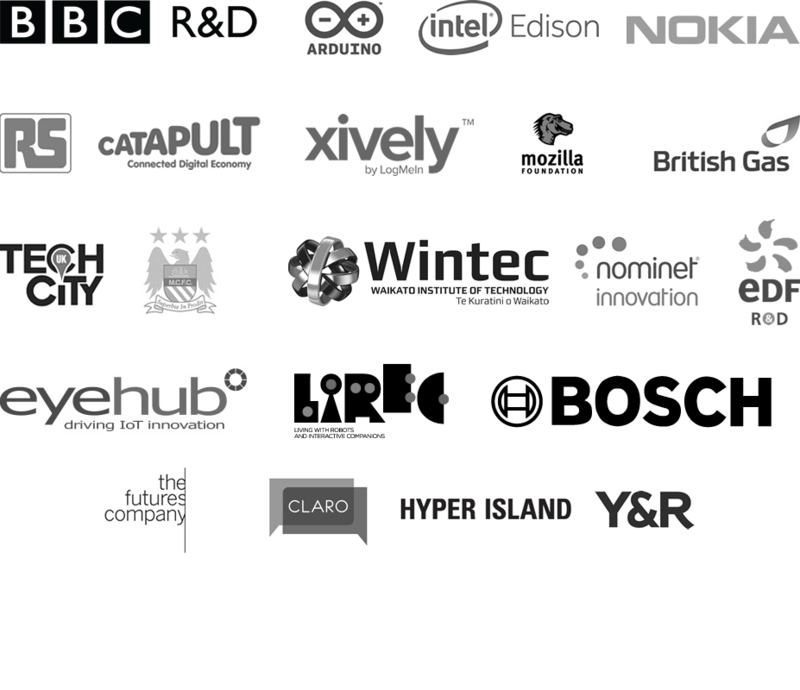 Design and organisation of the first UK Intel Edison workshop (2015). Ran public and corporate Arduino workshops around the world (2007-2010). Developed Know Cards with Tina Aspiala, a set of cards to help you explore the internet of things. Mentor-in-residence at the Startupbootcamp IoT Connected Devices accelerator (2016-17). Part of the Jury for the Braun Prize (2018). Started running the London Internet of Things Meetup. It’s now the second largest meetup in the world around the topic. (2011-) We organise pop-up shows, talks and showcases in this context. Developed Homesense a pan-European open innovation project to explore bottom-up smart homes in collaboration with EDF R&D. The creative-commons licensed output included a blog and hardware tools which are part of the permanent collection of New York’s Museum of Modern Art (MoMa). Get in touch to discuss your project needs.